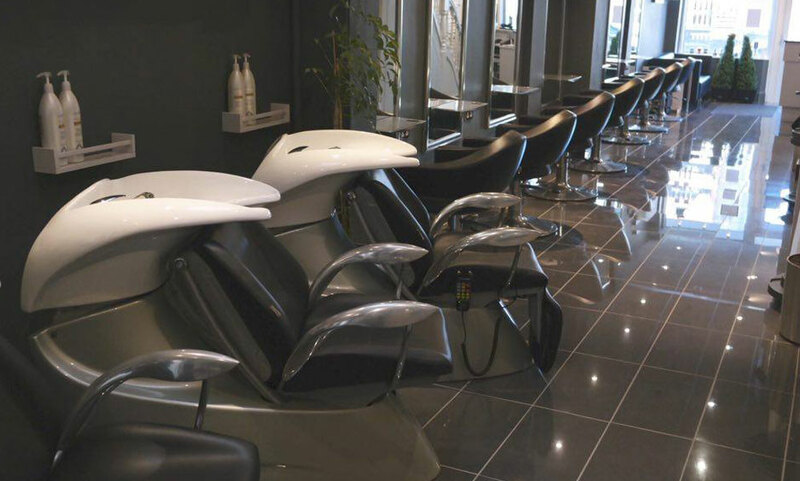 Located in Blackrock, South County Dublin, the Noel Higgins Hairdressing first opened its doors to customers in 2001. The importance of colour is emphasised in the salon where the entire first floor is dedicated to colouring, this in turn is complemented by an excellent styling department with its own talented team on the ground floor. Offering a variety of services, from head and scalp massage to creative colouring. This exclusive salon in the village of Blackrock offers, innovative and technical brilliance seldom found under the one roof providing you with the most recent looks for today’s latest fashions. The founder, Noel Higgins, is renowned and respected for his excellence in all aspects of hair colour. Noel has built a reputation as one of Ireland’s leading authorities in hair colouring. His work has a great influence on the industry as a whole, and he is in great demand for his expertise. His experience, enthusiasm and commitment to making you look and feel your best has made Noel Higgins Hairdressing what it is today. Excellent Service and Sound Advice. I had my first appointment with Noel and his team just before Christmas. I had a colour correction treatment done and got lots of advice on hair maintenance and upkeep. Very relaxing atmosphere with professional staff who know what they are talking about. Couldn't but recommend a visit. I look forward to seeing the team on my next visit! Lovely morning at Noels. Great staff and service!!! It's a great salon with great advice! I have been going to Noel and Joanne for many years and have many compliments on my hair over that time. It's a great salon with great advice. Had my hair cut today by Ross.I'd never been before but was made very welcome.got some good advice and will definitely go back. I certify that this review is based on my personal experience of Noel Higgins Hairdressing and is my opinion. I have no business or personal link with Noel Higgins Hairdressing and have not been offered payment to write this review. By providing these comments you give Good Salon Guide permission to review and publish this information. Good Salon Guide reserve the right to edit comments for length, spelling or clarity where appropriate. As part of this appointment request Good Salon Guide will record your name, email address, telephone number and appointment details. This information will be passed to Noel Higgins Hairdressing by email, through the Good Salon Guide app and over the telephone. This data will not be shared with any other companies and we will manage your data in line with your preferences below.